The filtered, monitored version of the internet available in China. 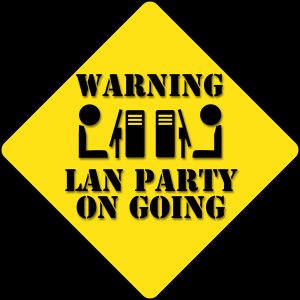 A local area network (LAN) is a computer network covering a small geographic area, like a home, office, or university campus. Computers in the LAN can share files and other information, as well as a connection out to the internet. A network administrator oversees activity. Similarly, the internet in China operates in many ways separately from the rest of the world, with internal content and access to the wider global internet carefully managed. Major services like Twitter, Facebook, and Google are blocked, while home-grown services such as Weibo, Renren, and Baidu take their place. These Chinese web services monitor, filter, and censor content at the behest of the Chinese government. See also Chinternet and Great Firewall of China. @雷帝gaga笑哈哈’s 2015 comment has proven prescient. Over the last few years, the Xi administration has taken steady efforts to reinforce China’s Great Firewall system and bolster control of the domestic internet. Ahead of the “Two Sessions” top political meetings in Beijing this year, Chinese People’s Political Consultative Conference vice-chair Luo Fuhe raised a proposal on improving the speed of access to foreign websites. Propaganda authorities quickly ordered coverage of the proposal offline.